New Tornado Technology Could Reduce Deaths Tornadoes have killed at least 530 people in the U.S. this year, the highest death toll since 1950. But researchers say they are working on new detection and forecasting technologies. One of those technologies got put to the test in May when this tornado touched down near Chickasha, Okla. This NEXRAD radar tower is located in central Illinois. It's part of a network of sensors that help scientists track and predict tornadoes and other weather. Scientists want to supplement this system with an even more precise tracking system to help them become better at predicting severe weather. Tornadoes have killed at least 530 people in the U.S. this year, the highest death toll since 1950. But researchers say they are working on new detection and forecasting technologies that could help reduce tornado deaths in the future. One of those technologies got put to the test on May 24 when a tornado touched down near Chickasha, Okla., and began heading northeast at near freeway speed. The National Weather Service was tracking the twister with radar, which uses bursts of radio waves to gauge the shape, power and direction of a storm. And data from Weather Service radar showed the tornado would cross the southern part of Newcastle about 25 miles up Interstate 44. So officials in Newcastle sent emergency crews to that part of the city. 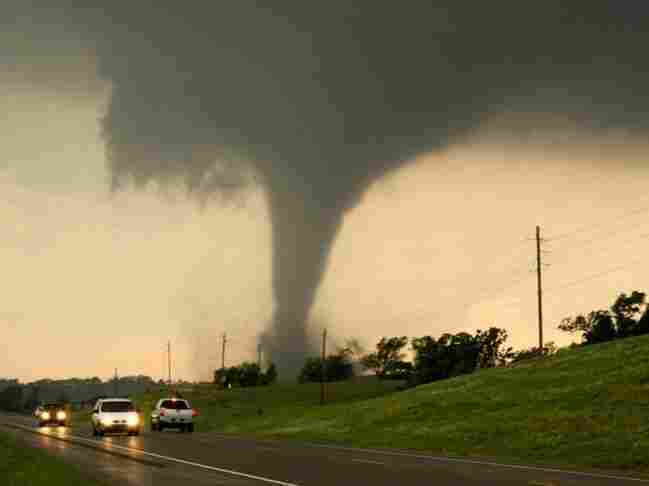 This tornado touched down near Chickasha, Okla., on May 24. 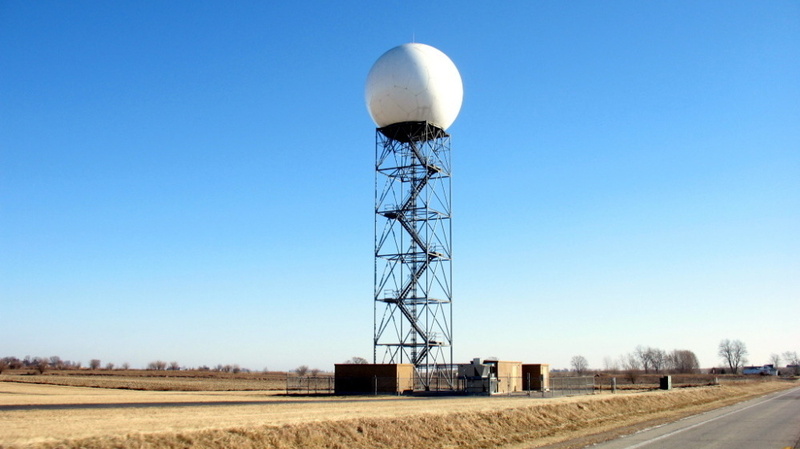 In addition to being tracked by the existing NEXRAD radar system, this storm was also being monitored by an experimental radar system that provided more precise information about the tornado's behavior and path. But by chance, the storm was also being tracked by a separate, experimental radar system designed to give more precise information. And as the tornado approached Newcastle, the city's emergency manager was studying data from that system. "Based on that data, he could see that the tornado was actually taking a turn to the north," says Brenda Philips, who works for a group called CASA (Collaborative Adapting Sensing of the Atmosphere) that developed the new radar system. So the emergency manager sent the first responders north, which allowed them to move into the affected areas more quickly, Philips says. It was a big success for CASA, which was founded by several universities specifically to improve weather radar systems. The group receives funding from the National Science Foundation. The CASA radars did a better job than traditional radars because they were able to provide a fresh image of the storm every minute, says Michael Zink, from the electrical and computer engineering department at the University of Massachusetts, Amherst. "The problem is that with the existing system you only get five-minute updates, and fast-moving weather events like tornadoes can change," Zink says. The system now used by the National Weather Service consists of about 150 massive radar antennas spread across the country. They sit on dedicated towers several stories high and can track storms that are more than 100 miles away. CASA wants to augment the existing system with lots of smaller radar antennas attached to buildings or cellphone towers. These new radars would provide more frequent updates. They would also offer a better view of the part of a storm that's near the ground. Zink says you need lots of radars to do that because the radio pulses they send out travel in a straight line, rather than following the curve of the earth. As a result, the earth blocks their view of anything that's far away and close to the ground. "So roughly 75 percent of the atmosphere below 1 kilometer are not covered by these radars," Zink says. "And that's an area where a lot of the weather is happening." The CASA system uses so many radars that it wouldn't have that blind spot, he says. And that could help give people a few extra minutes' notice that a tornado is coming. A better radar system is just one way new technology could help people protect themselves from extreme weather. Another approach involves an alternative to weather balloons. Right now, the National Weather Service launches 69 of these balloons twice a day around the country. The balloons may ascend to 100,000 feet or more before they pop and fall back to earth. Dangling beneath each balloon is a pod of sensors that send back information about temperature, humidity, barometric pressure and wind speed and direction — information that helps forecasters figure out when tornadoes are likely to appear. But 69 weather balloons launched twice a day doesn't provide enough data for really good forecasting, says Bruce Lev, a pilot and part of a company called AirDat. "The solution is to essentially make commercial aircraft into flying balloons, Lev says. And that is more or less what AirDat has done. Instead of dangling sensors from balloons, Lev says, AirDat has attached them to more than 200 commercial planes. He says the device adds another small protrusion near the nose of the plane. A box inside collects the information and sends it to a supercomputer. Already, the system collects more than 10 times as much data as the nation's weather balloons, Lev says. And the technology proved itself in the days before a tornado devastated Joplin, Mo., in April, he says. "Our forecasts were seeing substantial supercell activity in and around Joplin, Mo., 57 hours or more ahead of the tornadoes actually touching down," he says. So perhaps it's not surprising that the National Weather Service has begun buying a small amount of data from AirDat. Scientists say there's little doubt that new technology could improve forecasting and detection of extreme weather. But it's less clear how many lives would be saved by better information, says Roger Pielke Jr. from the Environmental Studies Program at the University of Colorado, Boulder. "If you look at where people die from tornadoes, it's often in weakly constructed homes," he says. "And it's not that they didn't know there was a storm bearing down on them; it's that they didn't have any options." Pielke says many other tornado deaths occur when people make bad decisions. And no new technology can prevent that, he says.